Tag Archive | "Martin Lel"
Kenya’s Wilson Kipsang won the 2012 London Marathon this morning with a time of 2:04:44. Second place went to Martin Lel (2:06:51-Kenya) who barely bested third place finisher Tsegaye Kebede (2:06:52-Ethiopia). Just 1 minute and 29 seconds separated 1st through 10th places for the men. 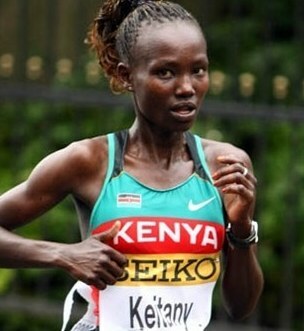 Mary Keitany was the female winner with a time of 2:18:37. 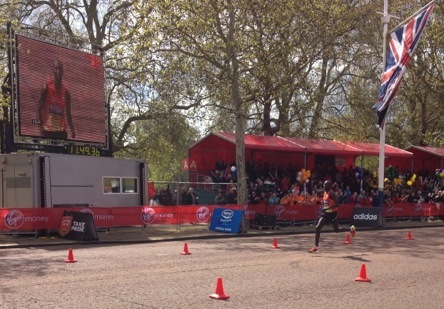 Keitany’s time is the 2nd fastest in London Marathon history. The fastest time belongs to London’s Paula Radcliffe in 2:17:42 (2005). Second place female was Edna Kiplagat (2:19:50-Kenya) and the female’s Kenyan podium was completed with Priscah Jeptoo (2:20:14). The top five female finishers were all from Kenya. Congrats to all who ran and finished the 2012 London Marathon.